The wind drops and today's weather is pleasantly warm with relative humidity. The sea will be calm and invites you to enjoy its beautiful water! • Monolithos. The sea is shallow, without any waves and suitable for young children. • Eastern Beaches: Any beach on the eastern side of the island, such as Vourvoulos and Kolumbos today is a great choice. Read below for more information. 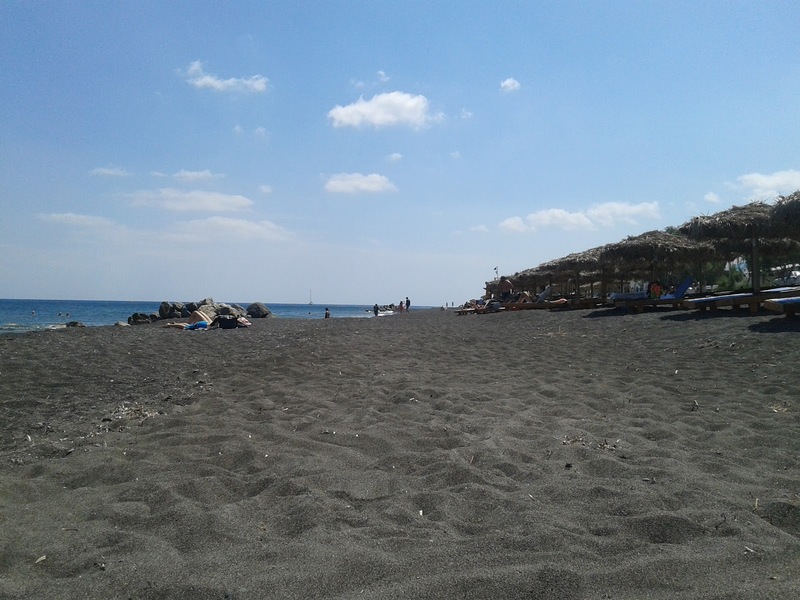 • Kamari: The black beach is now calm and charming! You have the opportunity to enjoy your food, coffee and walk on the pedestrian street. 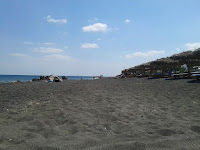 • Perissa: The famous black sand beach awaits you for a refreshing swim!